Counter Strike: Source is a staple in the FPS genre. 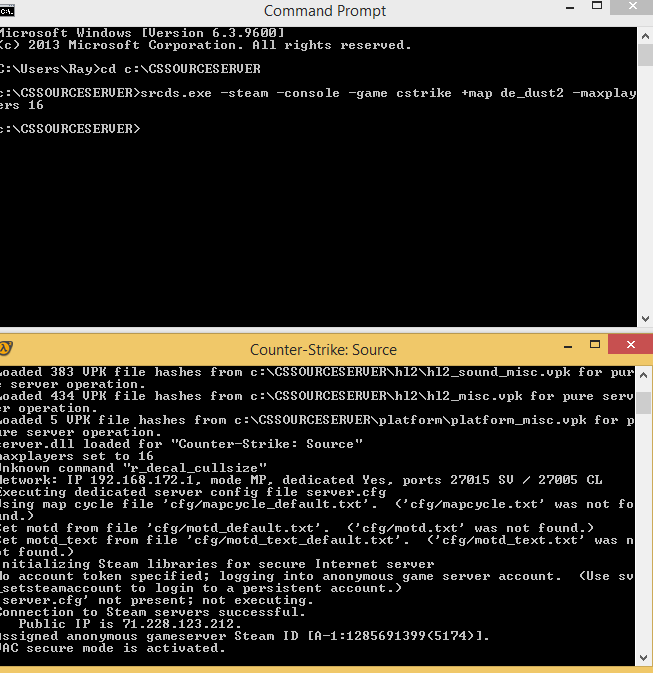 If you want to host your own counter strike: source dedicated server you need to go no further! This counter strike: source dedicated server can run both on Windows and Linux operating systems. For windows this test was done on Windows 8 64bit but should run the same on Windows server 2008/2012. For linux I tested this setup on Ubuntu 14.04 64bit server os. 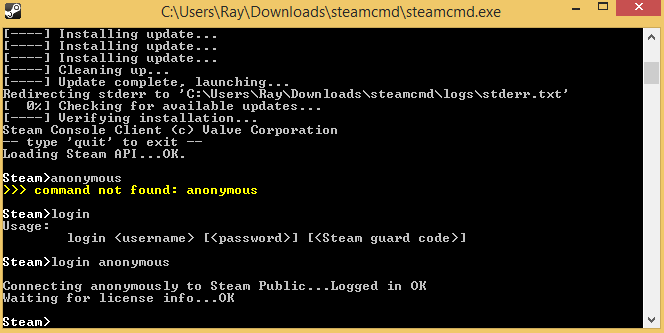 You can now login as anonymous or with your steam account. I chose to login as anonymously. Now create a new folder in windows to hold your server files. I made it C:\CSSOURCESERVER. 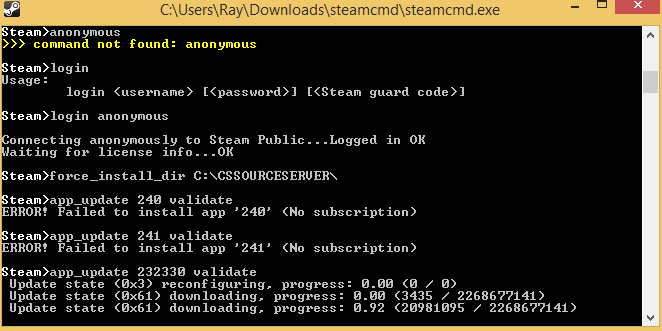 You can now close SteamCMD and navigate to the C:\CSSOURCESERVER\ folder. You should see files loaded to it. Instead of running it from the command line try navigating to your installation folder in Windows explorer and right clicking on srcds.exe and create a shortcut. Then edit the shortcut to include the parameters for your server. Need a VPS server for CS source? Gameservers.com offers CS: Source server hosting at excellent prices. They have datacenters worldwide and rank as the best GSP for gamers.